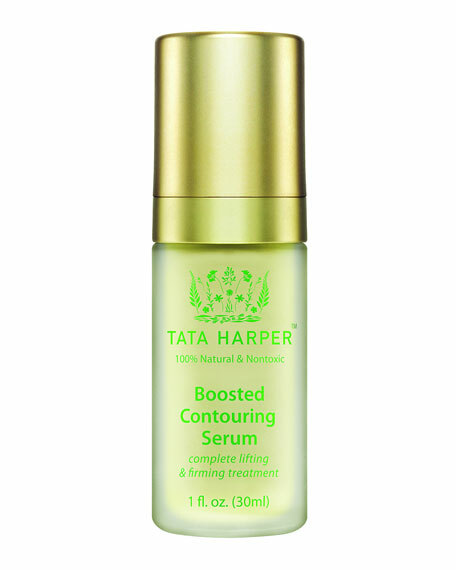 This supercharged treatment works to visibly lift, tighten, and smooth the look of skin. A targeted blend of fortifying technology helps reinforce the appearance of firmness and hydration for a visible contouring effect, especially on the neck and jawline area. For best results massage into skin. Use AM & PM. Avoid direct contact with eyes. Visibly lifts and tightens the look of the skin. Promotes a firmer, more contoured appearance. Hydrolized Rhizobium helps minimize the appearance of wrinkles with fast-acting natural polymers. Brown Algae Extract helps promote a more toned, plump appearance. L-Ornithine Ionosome helps tighten the look of the skin. Pomegranate Hydrospheres help trap moisture on the surface of the skin to promote a more lifted look. Use generously on the neck and chest to fight the visible effects of gravity by lifting & firming the look of the skin.